The Wireless LAN certified analysis (WLAN-CAN) certification is a progressive certification, which focusses totally on the analysis of troubleshooting a Wireless LAN system. 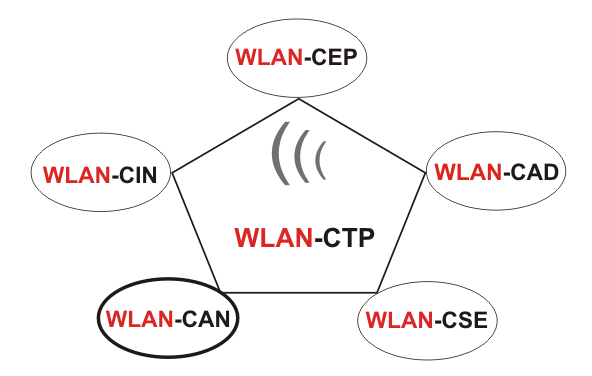 The WLAN-CAN training starts with the frame structure and the exchange processes for the standards 802.11 (a/b/g), 802.11e and 802.11n series and leads to the usage of the basic knowledge how and when the tools are applied, which are available today for the analysis and troubleshooting of a Wireless LAN. is conducted and the equipment of numerous well known vendors are placed for practice at the participants disposal. All participants are conveyed the understanding for the necessity of the analysis products, current problems, which can be solved with the help of analysis products, and current features of analysis products. Unique is that more than 98 % of the industrial vendors of Wireless LAN analysis equipment consider see this training as supplement. The WLAN-CAN certified participant is able to analyse and troubleshoot any Wireless LAN system securely with the leading software and hardware analysis tools on the market available.